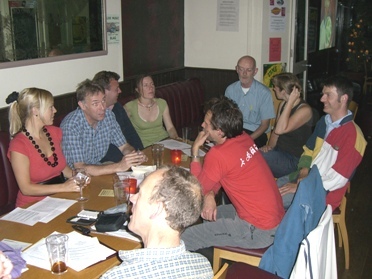 We hope you can join us for Lambeth Cyclists' meeting this evening (17 December 2013) 7:30pm at the Effra Social. We are usually in the room to the right of the entrance or at one of the tables at the front of the pub, ask if you cant see us. Tonight's meeting will mostly social: join us for a drink to celebrate Christmas and another year of successful Lambeth cycling!